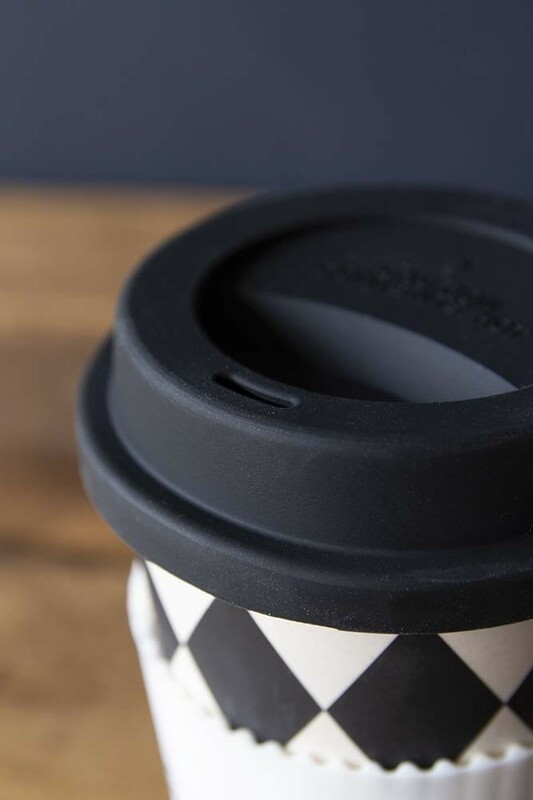 We are all aware of how important it is to cut-down on our use of plastic and with the Sleeping Face Harlequin Reusable Coffee Cup it has never been easier! 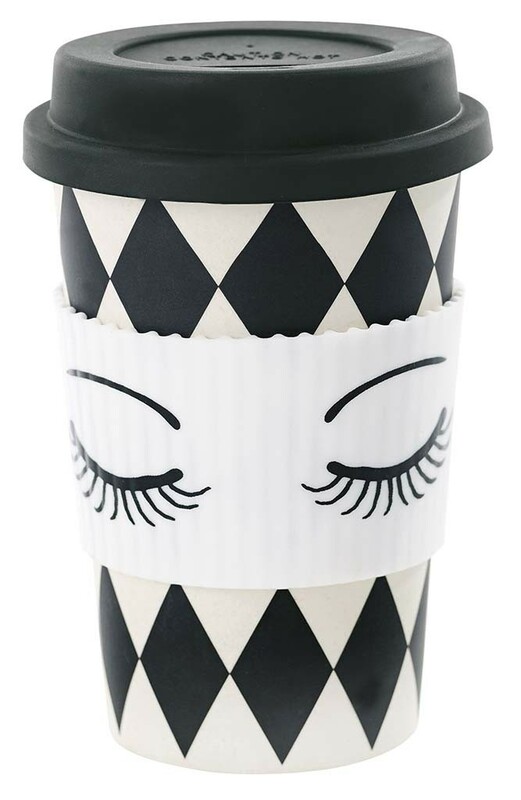 A glamorous travel mug for your teas, coffees, hot chocolates or your hot beverage of choice the Sleeping Face Harlequin Reusable Coffee Cup is a stylish and reusable coffee cup that you will love. 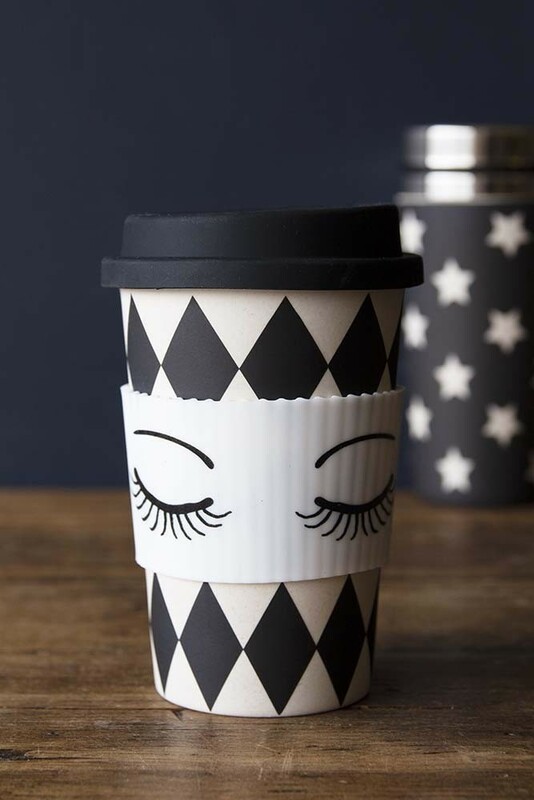 Friendly to the earth the melamine travel mug features a punchy geometric diamond black & white background, sleeping eyes white stars and a stylish black top for easy sipping. A fabulous gift idea or stocking filler the Sleeping Face Harlequin Reusable Coffee Cup is a lovely gift for anyone who is always on the go to school, university or work! RSG Top Tip - Cut down on your single-use plastics this year by following our top tips in our blog - Top 5 Alternative Resolutions For You And Your Home.